Important: Do not enable MFA for OS X if the system is already using or has configured another multifactor service or authentication plugin. Doing so could cause adverse results, including being unable to access the system. Note: MFA only affects the OS login screen. Filevault decryption, screen saver, lock screen, etc. are not affected by this setting. Tip: You can enable MFA for multiple systems using the more actions menu's Enable MFA option. In the JumpCloud Administrator Console, go to the Systems list. Select the OS system to view its Details. 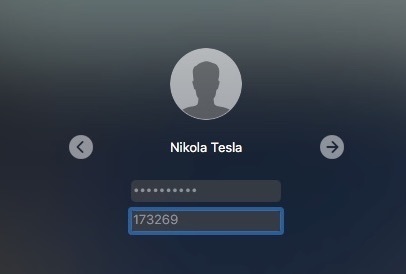 In the system's Settings, select Enable Multifactor Authentication on this System. After you select this option, you are prompted to read a notification about MFA. Click ok. Important: After you enable MFA on this system, users must obtain an application to generate TOTP tokens and validate their TOTP key to login to this system. To determine the MFA status of users bound to this system, go to the Systems Users tab. User MFA Status is shown in the MFA Status column. 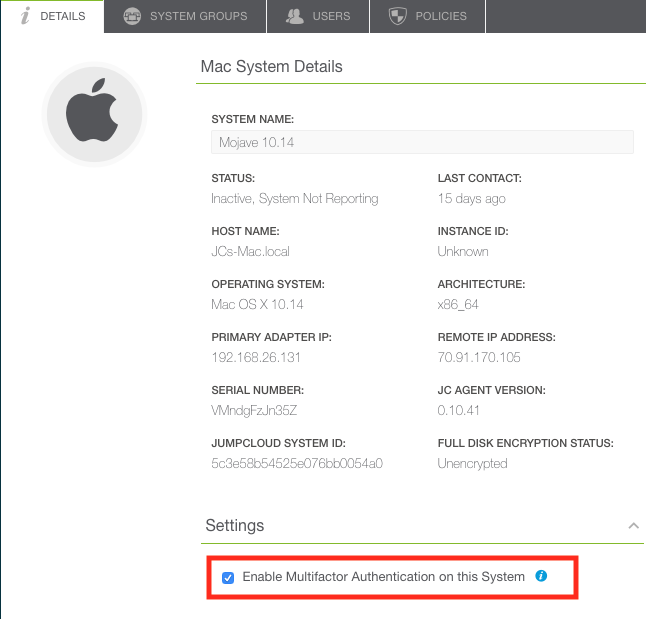 To learn about viewing MFA status and enabling MFA for users, see Using Multifactor Authentication with JumpCloud.